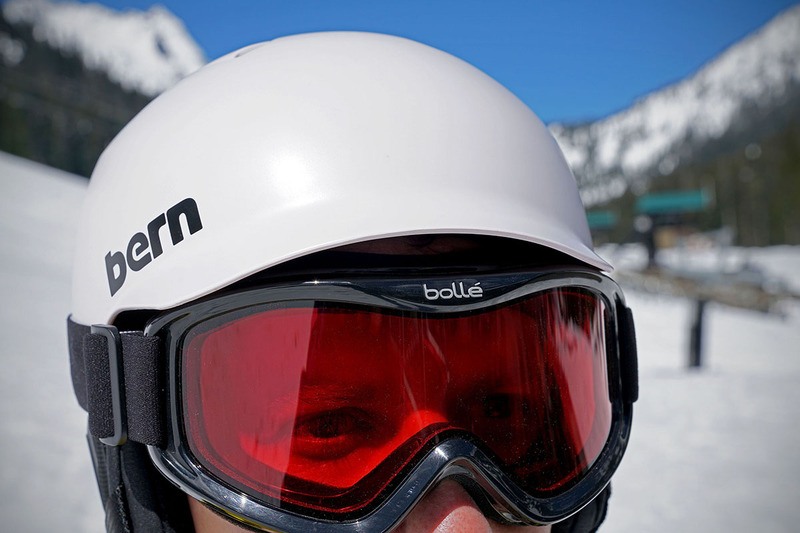 No matter your ability level, picking up a helmet for skiing or snowboarding is a no-brainer. If you’ve been putting off replacing a helmet that’s years old or are new to the sport, recent advancements have made them lighter and even safer, so now is a great time to take the plunge. The high-end models on the list offer advanced fit customization and venting, but those who only get up to the mountains a few times a year will be fine with a cheaper option. From the featured-packed and teched-out, to the basic yet effective, below are the top ski helmets for the 2019 season. For more information, see our comparison table and buying advice below the picks. To complete your ski kit, we've also written about the best ski goggles and ski gloves. What we like: The Vantage puts it all together: comfort, performance, safety, and looks. What we don’t: Very pricey. 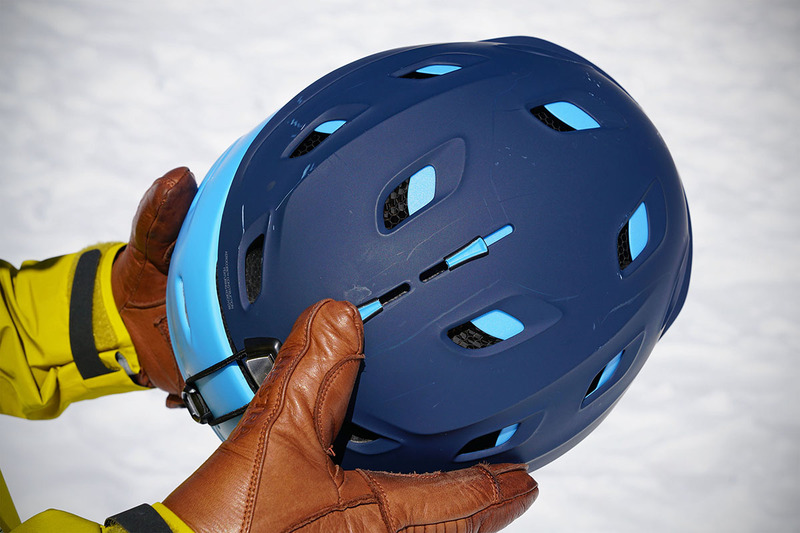 We’ve tested a lot of ski helmets, and none is more impressive than the Smith Vantage. The quality and attention to detail are clear, with a soft but supportive liner, excellent coverage all around your head, and an easy to adjust BOA dial for fit. You simply put on the helmet and forget that it’s there—the Vantage feels that comfortable and light. You also get superior ventilation with a total of 21 vents (13 more than the second place Oakley Mod 5 below) controlled by two separate sliders for easy customization. All in all, you won’t find a helmet that is so comfortable and universally capable of frontside and backcountry use. What we like: Creative removable brim design for a good goggle fit. What we don’t: Not our favorite ear pad design. Oakley makes some of our favorite ski goggles, but the company only recently jumped into the helmet game with the Mod 3 and Mod 5. We prefer the 5, which has panels of tough ABS plastic for extra protection and adjustable ventilation. 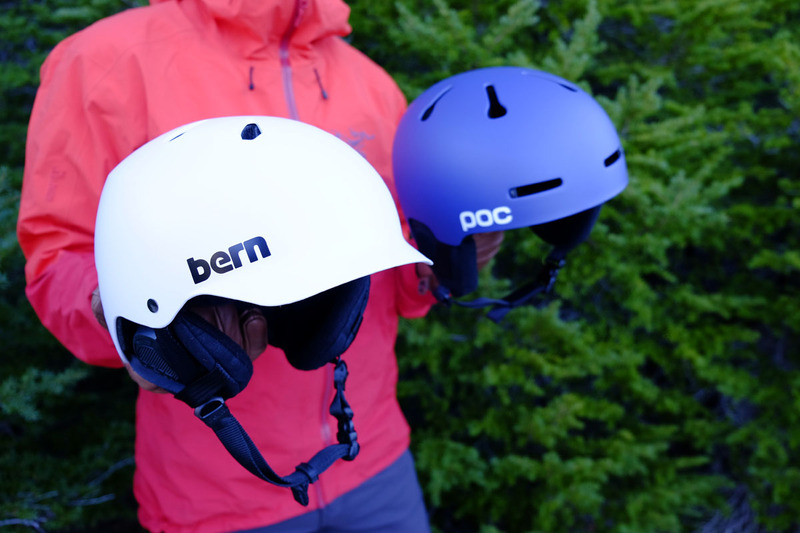 What both versions share is the Modular Brim System (MBS), designed to eliminate the dreaded gaper gap by including two brim sizes (small and large). It’s not a perfect answer—it favors Oakley brand goggles above others—but the option to swap out the brim makes it the most universal solution on the market in 2019. The rest of the Mod 5 is typical Oakley quality. The helmet feels light on your head and comes with premium features like a magnetic chinstrap, BOA dial at the back, and removable liner. The ventilation design does rely on a chimney-like effect—drawing air up through the goggle and out the top—which means it can’t dump heat as quickly as a helmet like the Smith Vantage above. We also found that the liner is a little less cushioned and the cutout ear pads make it difficult to wear headphones. But these complaints aren’t deal breakers for most folks, and the design is very solid overall. 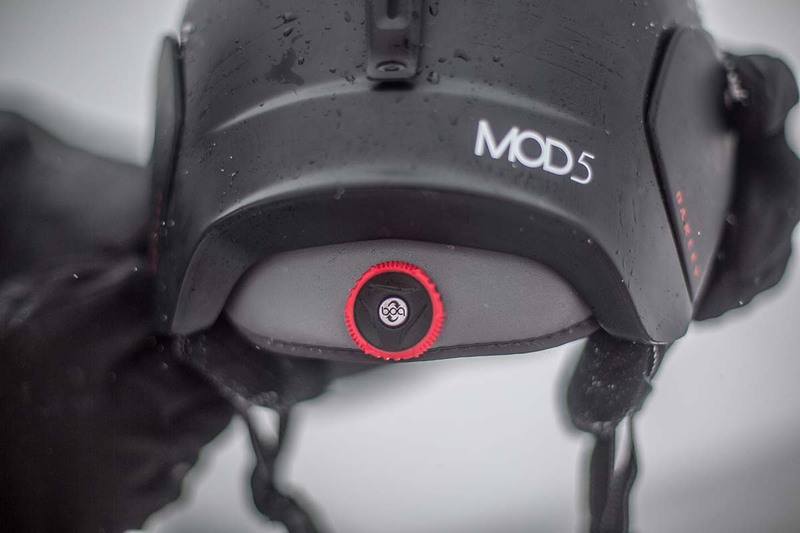 The Mod 5 is available with or without MIPS, and the extra safety technology increases the price to $240. What we like: Our favorite helmet under $100. What we don’t: Liner and foam are cheaper than pricier helmets on this list. Top to bottom in their snow helmet lineup, Smith just gets it. At $70, the Holt is their true budget offering and our favorite helmets in its price range. It’s an exercise in smart design, and one of the Holt’s biggest accomplishments is avoiding the dreaded mushroom look associated with cheap helmets. While not as low profile or techy looking as the premium Vantage above or Variance below, it’s a notable improvement over the rest of the budget field. A really nice touch is the Holt’s adjustment system. You don’t get a dial adjuster, but an elasticized band at the back of the helmet stretches to accommodate your head surprisingly well. Warmth and comfort also are competitive, although the foam, while thick and warm, feels cheaper and muffles sound more than we prefer. On the whole, we’ve found that it’s often worth upgrading to a mid-range or premium ski helmet, and particularly for those who get in a lot of days on the mountain. But as long as you’re willing to compromise a but in comfort and aren’t prone to overheating (the fixed ventilation is only mildly effective), the Holt is a real winner. What we like: Super lightweight; rated for both skiing and climbing. What we don’t: Fixed vents can allow moisture inside. 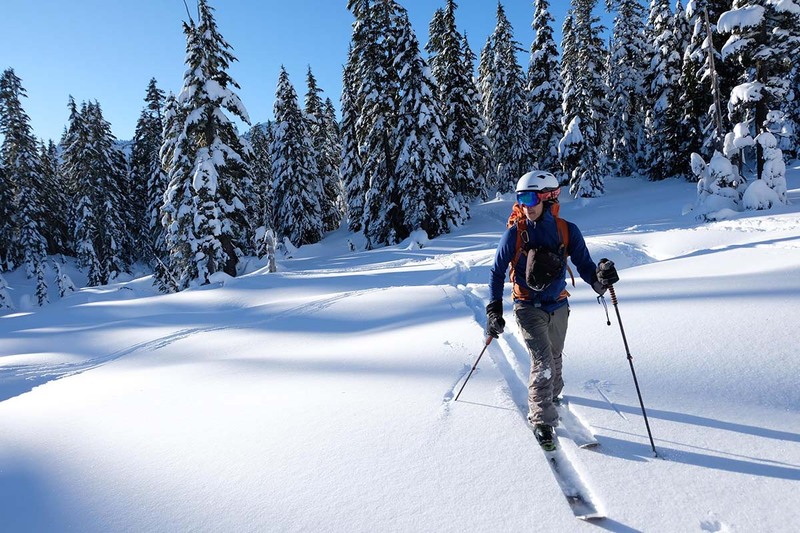 Rated for both downhill skiing and climbing use, the Salomon MTN Lab is a backcountry standout. The helmet’s feathery 13.25-ounce weight (our medium size with the heavier winter liner) is the lightest on our list and makes it easy to wear all day or attach to a pack. Ventilation is a strong point with 12 large cutouts distributed along the top and sides of the lid. And Salomon didn’t skimp on features with the MTN Lab: the helmet integrates well with our Smith I/O goggles, the adjustment dial at the back is easy to use, and the two included merino wool liners (one lightweight and one winter-weight) are soft and cozy. Where the MTN Lab falls short is as an everyday helmet. Unlike the plush, resort-ready options above, the Salomon’s minimalist padding is less comfortable and doesn’t protect you as well from the cold. In addition, the vents are non-adjustable, and we found that moisture can work its way through the openings in heavy snowfall (putting our hardshell’s hood over the helmet did alleviate this issue). These compromises make it a less than optimal choice for lift-assisted days, but it’s as good as it gets when you head into the alpine. What we like: A premium snow helmet for under $200. What we don’t: Venting can’t match the Vantage. It’s hard to argue against the Smith Variance, which offers a number of premium features while still coming in at a palatable price. Like the Smith Vantage above, the Variance has a high-end hybrid build that combines ABS plastic and in-mold construction. This style of manufacturing is expensive, but the upside is that it keeps weight in check while not compromising on toughness. The interior of the Variance is nicely padded and we think a near match in overall comfort and quality to the more expensive Vantage. What are the downsides of the Variance? Compared to the Vantage, it has inferior ventilation with fewer and smaller openings, lacks the Aerocore honeycomb inserts, and feels a little heavier on your head. Both helmets have the BOA system for dialing in fit and plush cushioning, which allows for a snug fit without any pinch points. It’s a really close call if you’re deciding between the two. 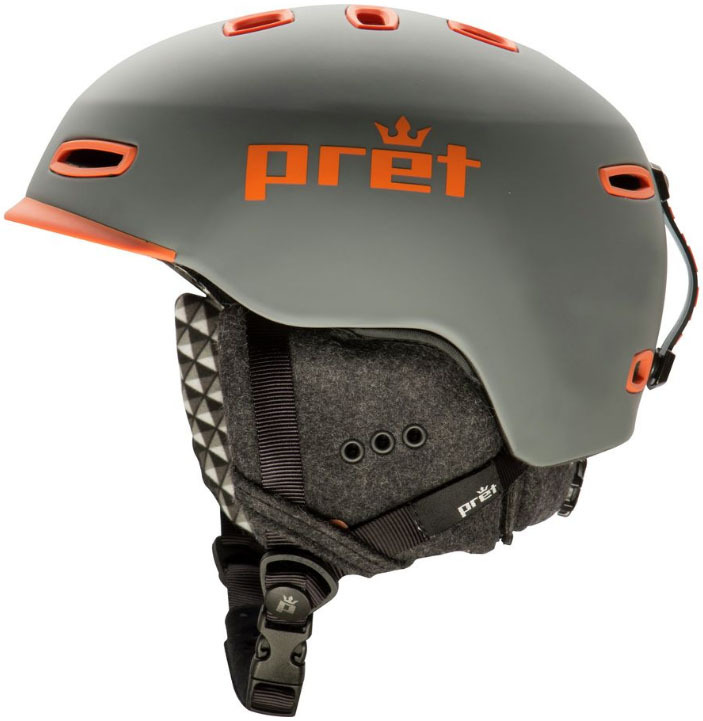 We really like the Variance, which is just about perfect as a resort helmet, but give the leg up to the Vantage for active/backcountry skiers. What we like: Solid build and well-integrated safety features. What we don’t: Not as comfortable as the options from Smith above. 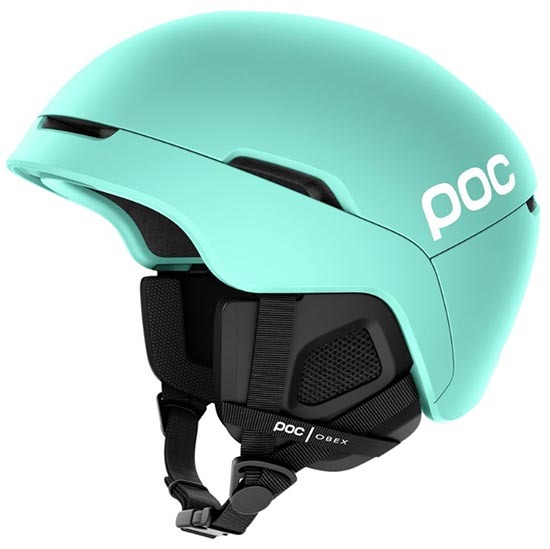 Sweden-based POC has built a reputation around toughness and safety, and the new Obex is their most well-rounded helmet to date. 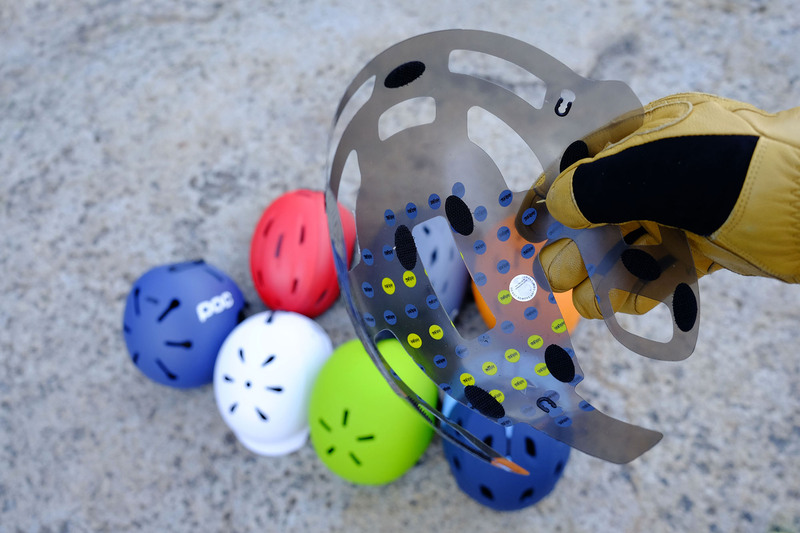 The big news is the integration of their SPIN technology—POC’s version of a MIPS liner that aims to reduce rotational forces in an angled impact—into a lightweight and competitively-priced package. The beauty of SPIN is its simplicity: the design uses cushioned pads that integrate seamlessly into the lining. Rounding out the features, the Obex has an adjustable fit system that secures evenly around the head, a durable ABS shell, and the brand’s signature sleek styling. What’s not to like about the POC Obex? Despite their best efforts, the helmet still is bulkier and not as streamlined as Smith’s Vantage and Variance above. As a result, we found that it feels a little heavier than its 16.5-ounce weight suggests (ours is a size M/L). Further, the interior padding isn’t as plush as the Smith designs and we prefer more cushioning along the chin strap in particular. Finally, only the top three vents are adjustable, which means the helmet can run cold on frigid days. To be fair, these differences still are fairly minor, and the Obex’s combination of a premium safety suite and reasonable $200 price point earn it a spot on our list for 2019. What we like: A MIPS-equipped helmet for well under $100. What we don’t: Not as comfortable as the Smith Holt above. 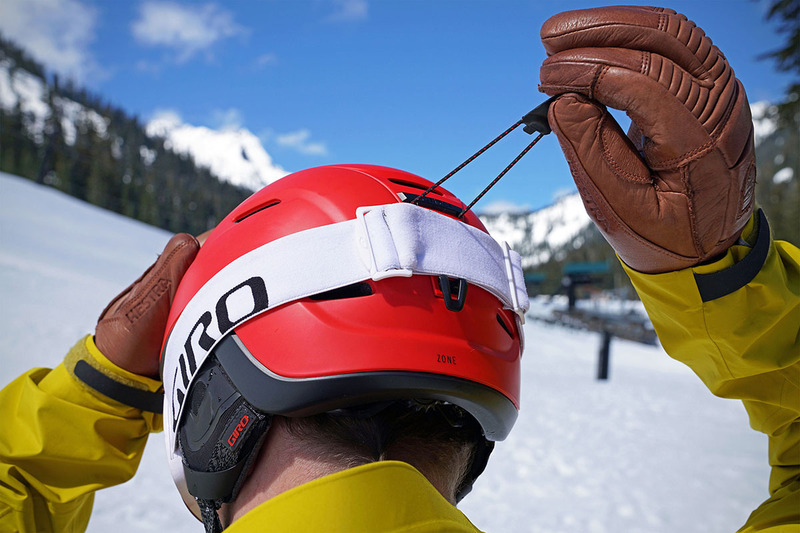 Giro was one of the early adopters of MIPS technology, and their 2019 snow helmet line-up is chock-full of MIPS designs. 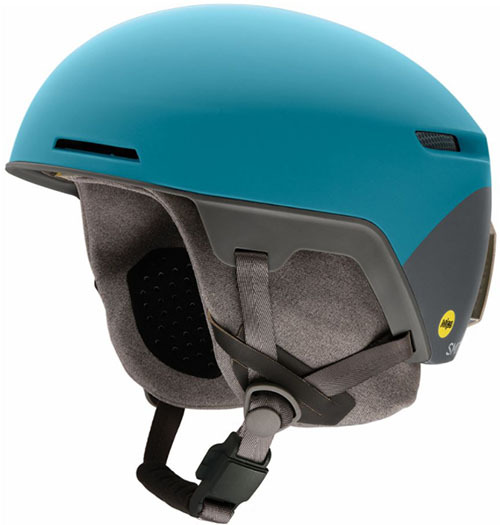 The Ledge is a standout, which at $80 is the most affordable helmet on this list that’s equipped with the angled impact safety feature. Other than that, you don’t get a lot of bells and whistles, but there’s enough here to make most riders happy: a goggle retainer hook around back, removable ear pads, and a finicky but still very usable fit adjustment system. Anyone from casual riders to season-long rippers on a budget should give the Ledge MIPS serious consideration. A number of Giro and Smith models go head-to-head, and the Ledge is a direct competitor with the Holt above. Both lids have very clean, skate-inspired designs, tough hardshells that can take a good knock, and are available in a wide range of colors. Where the Ledge has the advantage is the inclusion of MIPS for only another $10 (Smith doesn’t offer a MIPS liner on the Holt). But we prefer the overall fit and comfort of the Holt, and it integrates a little better with a wide range of goggle styles. But if MIPS is on your must-have list and Giro helmets fit you well (they’re known to work best with oval-shaped heads), the Ledge MIPS is a proven budget option. What we like: Very comfortable, good looks. What we don’t: Non-adjustable vents, angled bill gets in the way of large goggles. Ski helmets is a category on which we’re often willing to spend a little extra. A nice lid just works and you don’t think about it, whereas a bad one can ruin a ski day. But the $100 Bern Watts earns a spot on our list because it’s flat out comfortable. Slide it on your head and twist the BOA adjuster, and you’re in for all-day fun. A second major benefit is its 2-in-1 compatibility: in the offseason, you can pick up a summer liner for biking and use it for that activity (it’s certified for both). We often see this helmet around Seattle and the dual-use aspect certainly is a reason why. At this price there will be compromises, and the big ones for the Watts EPS are ventilation and goggle fit. To start, the ABS construction means there aren’t as many vents as most other options on this list, and what vents it does have are non-adjustable. It’s also a little tricky to find a pair of goggles that can squeeze under the visor and avoid exposed skin. Medium-fit goggles like the Smith I/O can work, but if you go too small or too large, it can result in discomfort or brain freeze on frigid days. If you’re able to find a suitable goggle pairing, however, the Bern Watts is a solid value. What we like: Fantastic fit system, premium build. What we don’t: Thin ear pads don’t work well with audio systems. 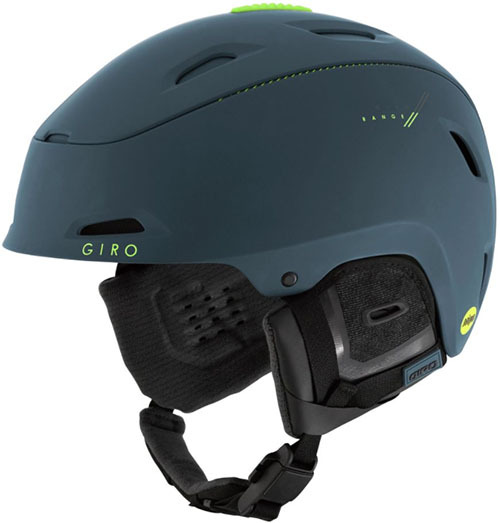 Giro is one of the few brands truly innovating their fit systems, and their Range MIPS offers a best-in-class low profile design thanks to an adjustable two-piece shell. By turning the glove-friendly dial with your thumb, the semi-flexible shell either expands or closes around your head. For most head shapes it gives an absolutely fantastic fit (the only exception are round heads that may fit the Vantage better). And we’ve found the low profile brim fits most goggles really well—even hard-to-fit large frames like the Dragon X2. For the price, we would prefer more substantial and supportive ear padding (although as long as you don’t want to use the audio drop-ins, they’ve given us pretty good all-day warmth and comfort). The rest of the design is excellent: the strap under the chin is magnetic and easy to open and close with gloves on—a nice step up from the standard buckle from Smith—and the Range gets you premium features like a soft-touch interior and MIPS liner. Ventilation does fall short of the Vantage, but the 13 large vents are easily adjustable and have worked well on our sidecountry explorations. What we like: Low key looks but very comfortable and loaded with tech. What we don’t: Minimal ventilation. Smith released the Code last year, which mixes their latest fit and safety technologies with a classic look. The styling certainly points to the popular Maze with minimalist fixed venting and a smooth profile, but the Code is feature packed. 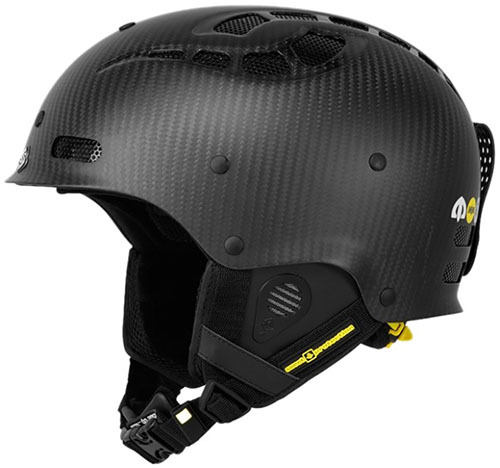 To start, you get Aerocore construction and MIPS like the Vantage helmet above. In addition, the interior is among the softest on this list with a plush woven liner that’s also fully removable. Tack on a magnetic chinstrap system for easy one hand use and BOA’s latest cinch system, and the Code is an attractive option at $200. What pushes the Code down to a mid-pack finish? For one, the helmet isn’t performance-oriented like the Variance, Vantage, or range-topping Quantum. Despite a creative airflow system, the 6 vents just can’t keep up for those that explore the outer reaches of the resort or backcountry. But the Code has the other Smith helmets easily beat in weight at under 16 ounces and rings in $10 cheaper than the Variance MIPS. 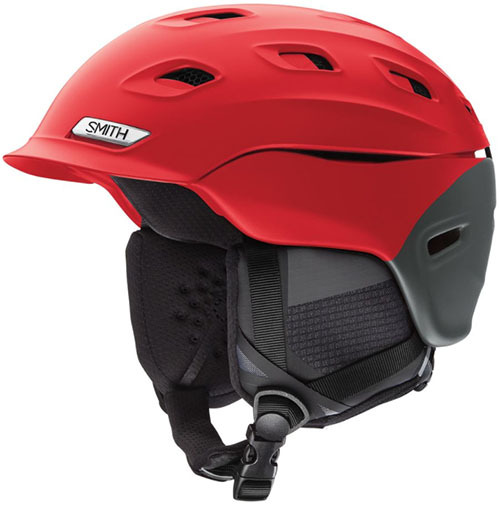 If you don’t need a highly-ventilated design, the Code’s feathery feel, sleek looks, and cozy interior add up to another very good helmet from Smith. What we like: Pretty comfortable and lightweight. What we don’t: No standout features; small vents. Giro's $150 Union MIPS and $200 Zone MIPS cover the California brand's mid-range resort offerings. In many ways, they are follow-ups to the excellent Giro Range above but without the shell adjustment system. 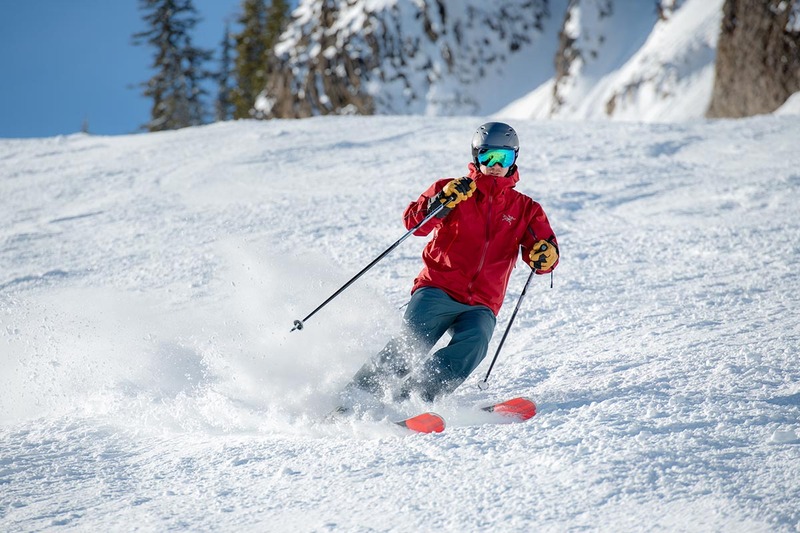 We weren't blown away with either model, but both the Zone and Union work well for resort and backcountry use with tunable ventilation, a well-cushioned interior, and an unobtrusive fit system that adjusts vertically as well as around your head. The primary difference is that the Zone MIPS has a hybrid construction, which adds a hardshell upper for durability, while the Union is a pure in-mold design. The Zone also uses the handy magnetic clip that we love on the Range compared with the standard buckle on the Union. Both helmets are a nice addition to the Giro fleet, but we give the edge to the Union as the better all-around option (and value) for the resort skier. At $200, we prefer the Smith Variance over the Zone, but the Union is a good option at $150. Keep in mind that as with the Smith Vantage MIPS above, we’ve found these helmets to run a little smaller than their listed size range. What we like: Tough, impact resistant construction. What we don’t: Thin padding and no adjustment system. Impact resistance is the name of the game with the POC Receptor Bug, which offers exceptional durability with its double-shell system. 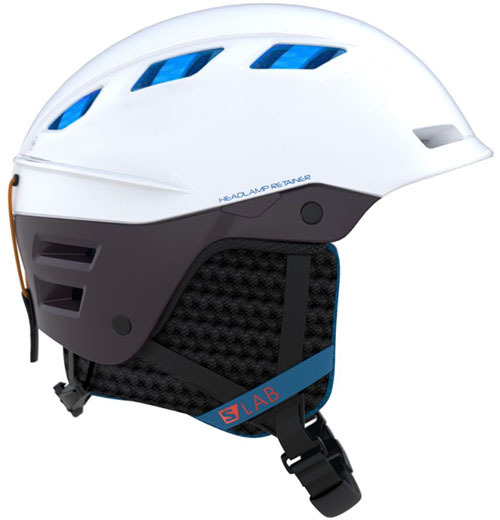 It’s a great solution for those that push the limits—the outer ABS layer covers the entire helmet as opposed to the partial coverage of models like the Smith Vantage and Variance—and it comes with only a minor weight penalty. Padding does fall short of the class-leading Smith options, but it’s a trade-off in keeping weight in check. Unfortunately, the standard Receptor Bug doesn’t come with a fit adjuster, so it can be a little tricky to get the perfect size (there are 5 sizes to choose from, however). POC does make a Receptor Bug Adjustable version, but it will cost you another $20. 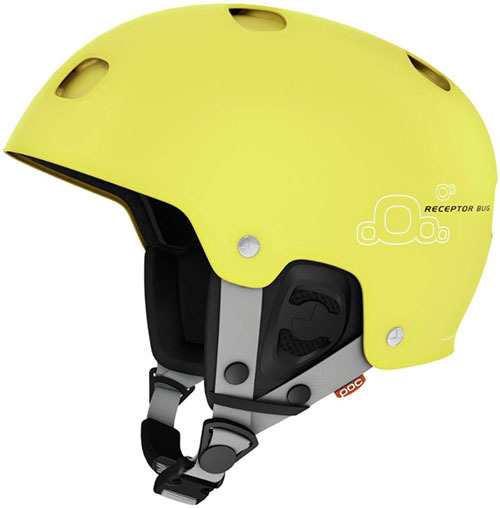 And the helmet does redeem itself in terms of ventilation with 8 large openings along the top of the head that can be opened or closed depending on conditions. For those looking for a splash of excitement, both Receptor Bug models are available in a wide range of colorways, from conservative blue or white to flashy yellow or red. What we like: Light, comfortable, and competitively priced. What we don’t: Less durable than the options above. Taking the place of the popular Aspect in Smith’s lineup for 2019 is the Mission. This helmet packs everything we look for in a mid-range lid: an adjustable fit liner, integrated goggle clip, and removable ear pads for audio systems. The foam interior isn’t as plush as the Vantage or Variance above, but it’s still nicely cushioned and warm for frigid days. Where the Mission stands out is weight: at 16 ounces for the MIPS model, it’s among the lightest fully-featured resort helmets available. Keep in mind that the Smith Mission’s lightweight build does come at the sacrifice of durability. Its full in-mold construction means that the helmet lacks the burly ABS shell that you get with premium options like the Vantage. As a result, it’s not an ideal choice for those that spend a lot of time in the trees and take the occasional glancing blow from a branch. This limits the Mission’s appeal among serious riders, but we still like its combination of weight, price, and comfort. What we like: Low-profile fit and comfy padding. What we don’t: The included audio system. With a lightweight feel and plush padding, the K2 Diversion is our favorite helmet from the venerable ski brand. In addition to a cozy full-wrap liner, the hybrid construction offers a nice balance of practicality with in-mold on the sides and hard-shell on the top. Further, we love all the vents at the front and top of the helmet, and adjusting the system with gloves on is a breeze. Checking in at under 16 ounces, it's also one of the lighter options to make our list. Value is where K2 Diversion suffers, dropping it towards the bottom of the pack. Part of the extra cost is the inclusion of a questionable audio system that doesn’t provide the highest quality sound and has an attached cable that is difficult to control. You can remove the system, but for $160, the price is a little high if you don’t plan to use it. If K2 dropped the audio and price, we would like the Diversion even more. What we like: A carbon fiber helmet! What we don’t: Super expensive and impractical. 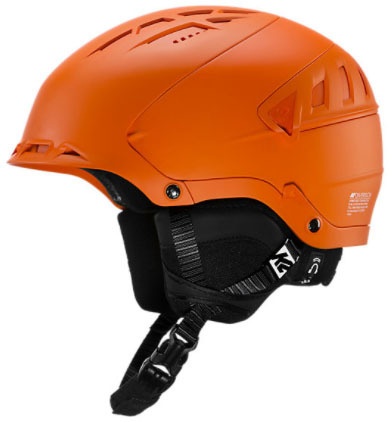 Right off the bat, it’s readily apparent the Sweet Protection Grimnir TE isn’t your average ski helmet. The shell is made with gleaming carbon fiber—it’s particularly impressive looking in the “Natural Carbon” color—and the price tag is a whopping $350. That’s nearly $100 more than the next most expensive helmet on this list and puts it in rarified air for an all-mountain/freeride design. What the carbon fiber build gets you is incredible strength and pro-level performance. For those that hit big mountain lines with a lot of exposure, the Grimnir TE may be worth a look. It probably won’t come as a shock that the Grimnir TE’s appeal is very limited. For one, the people interested in this helmet likely find themselves in hairy situations rather frequently, and may need to replace it after a crash well before the EPS liner has worn out (that’s another $350). Moreover, there isn’t a standardized test to prove that this carbon construction actually is safer, although the material is known to be very strong. The Grimnir TE remains a niche product, but Sweet Protection does make more affordable designs like the $240 Igniter MIPS that shares a similar shape and fit but trades the carbon fiber for more practical ABS plastic. What we like: Comfortable liner, good adjustments. What we don’t: Non-adjustable vents. Selecting the right $100 helmet is an exercise in prioritization. 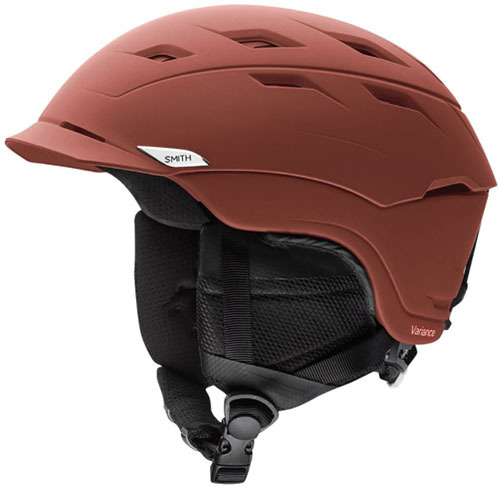 If your must-haves are liner comfort, adjustable fit, and sticking out from a sea of Smith and Giro lids, then the Pret Helmets Cynic is a fine choice. Its wool blend liner gives it one of the more comfortable interiors for under $150, and the easy to use fit system is comparable with a BOA design. As with the Smith Mission above, the Cynic's in-mold construction is very light, although its ventilation system is non-adjustable. Looks are always subjective, but we like the styling of the Pret, although some may find the large “Pret” along the side a bit extreme. The rest of the build is pretty standard fare, but if you want to upgrade the safety suit, there is a Cynic X for an additional $40 that includes a MIPS liner and RECCO reflector. What we like: Good price, durable construction. What we don’t: Looks and feels bulky; no fit adjuster. The Anon Raider is long-time budget favorite with its durable construction and skate park-ready looks. From a features standpoint, it’s about as basic as it gets. There is no fit system, you can’t open or close the vents, and the liner doesn’t offer any protection from the cold air coming through the openings (we find it best to wear a beanie underneath on cold or windy days). On the plus side, the interior padding has a fleece backer, which is much softer than we expected for the price, and the helmet has a nice, solid feel. Its $70 price puts it into direct competition with the Smith Holt above, and between the two, we give the clear edge to the Holt. Smith has done a better job making a more livable helmet for the same price: the simple fit system works well and despite weighing about the same, it feels much lighter on your head and looks far less bulky. The Anon, however, is multi-season certified, which makes it a nice deal for a snow and skate helmet. 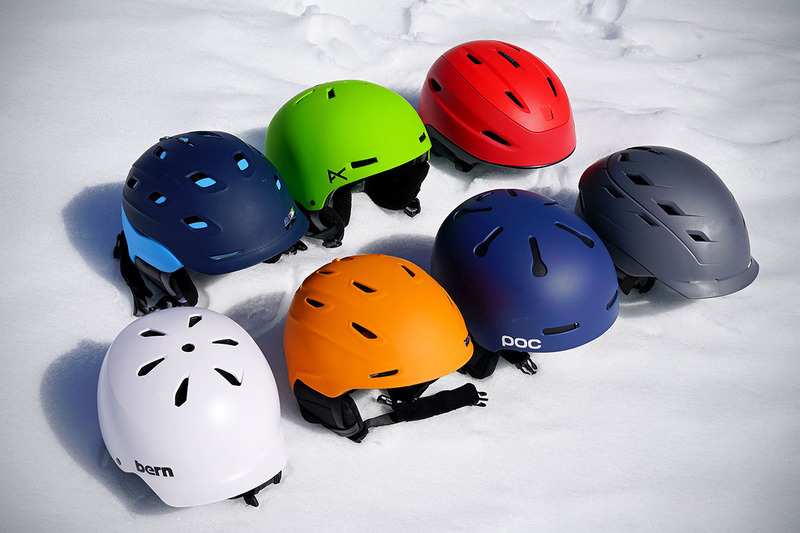 Construction styles for ski helmets can be broken into three general categories: ABS for the best durability, in-mold for the lightest weight, and hybrid in-mold for a great compromise between the two. Diving a little deeper, ABS helmets like the Smith Holt are made in the traditional style with a hard plastic shell and a foam liner glued to the inside. The combination means it’s tough, but at the expense of weight and bulk. Put on an ABS helmet back-to-back with an in-mold or hybrid design and the ABS model will look and feel more cumbersome. Its redeeming quality is price, which can lead to substantial savings over the other construction types. 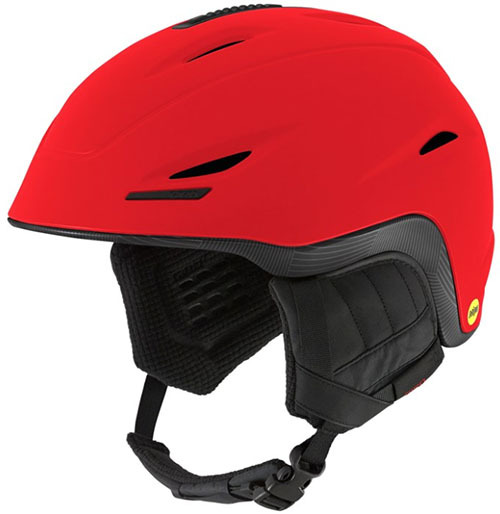 For skiers or snowboarders that are looking for a first helmet, are trying to save some bucks, or want the toughest option around for taking hard hits an ABS-style helmet should do just fine. In-mold and hybrid in-mold technology is found on many high-end and mid-range helmets. In-mold construction combines a thin shell (often polycarbonate) with an EPS foam liner right from the start, and they’re molded together. What you get is an integrated piece, which cuts weight and lets the helmet work as a single unit to absorb impacts. Ventilation also improves with these models; how much it improves will vary by model and price. Durability is the primary downside to an in-mold helmet, particularly protection against cosmetic damage like dings and dents, which is why hybrid helmets have grown in popularity. Hybrid in-mold designs add a hardshell layer for improved aesthetic durability. We find hybrid designs to be the best of both worlds, but their price, which is often $175 or more, puts them out of reach for many occasional skiers. A number of our top picks use this type of construction, including the Smith Vantage, Giro Range, and Oakley Mod 5. We place a high priority on ventilation. Throughout the course of an average ski day, we open and close our vents on multiple occasions as we hunker down on a windy lift ride or heat up on a backcountry hike. The technology behind keeping you at a comfortable temperature isn’t as simple as putting a bunch of holes in the helmet—that winter air is rather cold and can lead to dreaded brain freeze when you are trying to let out some steam. First, look at the number of total vents of the helmet (we’ve provided this information in the specs for each helmet and in the comparison table above). Not all vents are created equal, but this number gives you a good starting point as to how much ventilation the helmet offers. To be sure, there is a correlation between the number of vents and cost of the helmet. One of the best ventilators, the high-end Smith Vantage, has an impressive 21 vents, while a budget model like the Anon Raider only has 11 small fixed openings. Then you have both adjustability and design considerations. Many premium and mid-range helmets have adjustable vents that can be opened and closed depending on the preferred amount of air that you want to let through. Adjustability is highly preferred over static vents. And effective designs direct air through intakes at the front and “exhaust” the heat out the top and back. 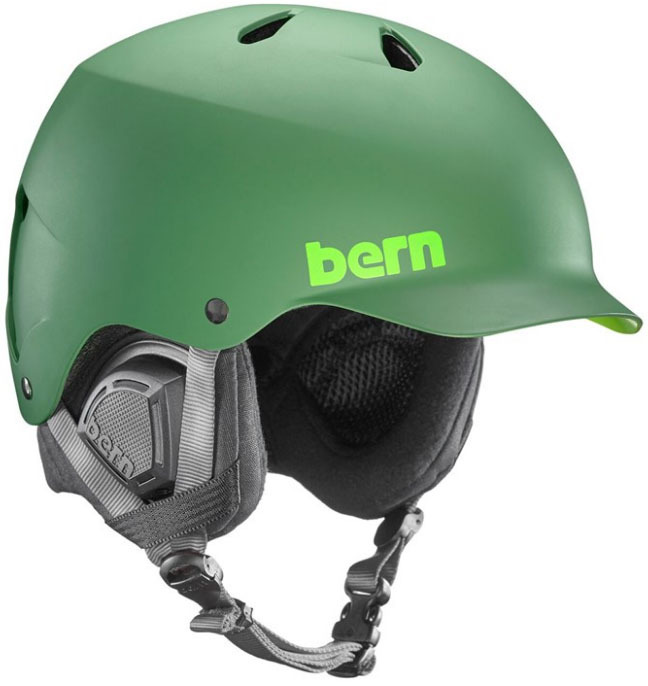 Budget helmets often have fixed openings that cannot be shut, although a well-designed passive system like the one on the Bern Watts EPS can still do a decent good job regulating your body heat. For long uphill slogs, you may need to ditch the helmet altogether, although we always recommend dealing with the heat if there is a chance for rock fall. All of this fancy safety and ventilation technology takes a back seat if the helmet itself was uncomfortable, hence the importance of a quality liner. 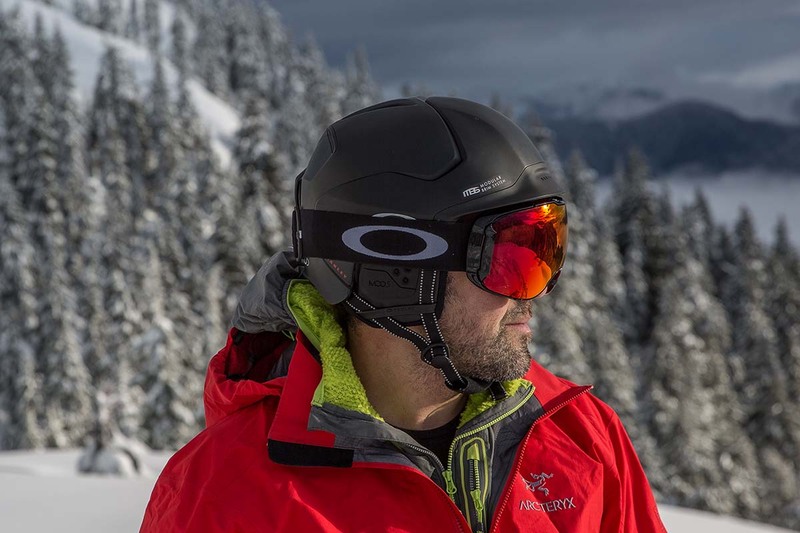 The difference in next-to-skin comfort between a high-end and budget helmet is apparent immediately but becomes even more noticeable throughout a long day on the mountain. The padding on premium designs like the Smith Vantage and Variance not only feels nice but also is supportive. The squishy soft liners on nearly every helmet we’ve tested under $100 may seem nice at first, but aren’t all that comfortable as the hours wear on (the Smith Holt and Giro Ledge do a pretty good job, however). Furthermore, many cheap helmets do not disguise the plastic fit system that wraps around your head. That will leave you one of two options: an uncomfortable fit that leaves an indent in your forehead, or wearing it too loose, which partially defeats the purpose of having the helmet in the first place. For these reasons (and more), we recommend spending up for those that get in a lot of ski days each winter. Like an uncomfortable pair of ski boots, you’ll notice it if you don’t. Liners provide more than just comfort. They are also a great source of insulation, offering about as much warmth as a midweight winter hat. Should you need even more warmth, you can slip on a beanie underneath, but make sure to choose a helmet size that can accommodate the extra inch or so in head circumference, depending on its thickness. Some helmets have detachable ear pads to further hone in your desired warmth. 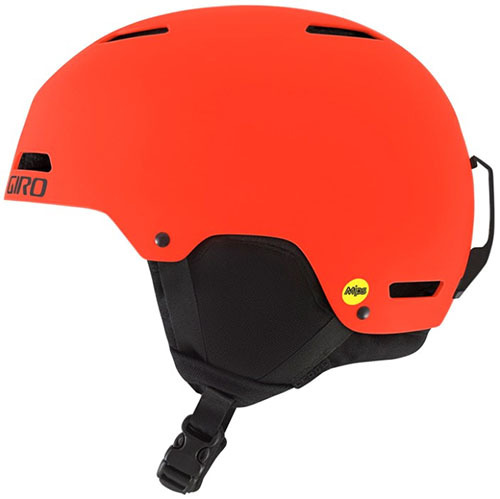 Tasked with keeping you safe from hard impacts on the hill, all helmets on our list have a non-motorized snow sports safety certification from US-based ASTM International. Despite construction differences referenced above, all follow a basic design with a hardshell exterior and foam interior to absorb some of the impact. 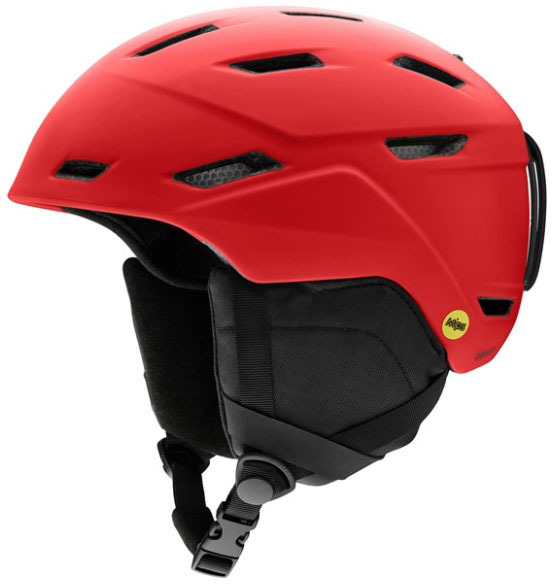 There are helmets with additional certifications, like the Salomon MTN Lab (mountaineering) and Bern Watts EPS (biking), but all are considered a safe choice for skiing and snowboarding, although careful reading of the certification only establishes their intent to keep you safe at low speeds. 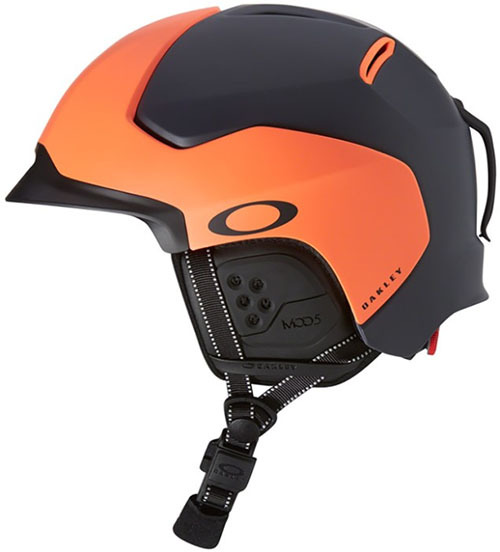 The onus is still, as it should be, on the user to ski or snowboard within your limits. In an effort to increase safety, additional technologies have hit the market including POC's SPIN system, but none has been so universally adopted as the MIPS liner. In short, the technology is designed to reduce potential damage to the brain in angled impacts (Giro describes it as “certain impacts”) through a liner that moves independently from the outer shell. 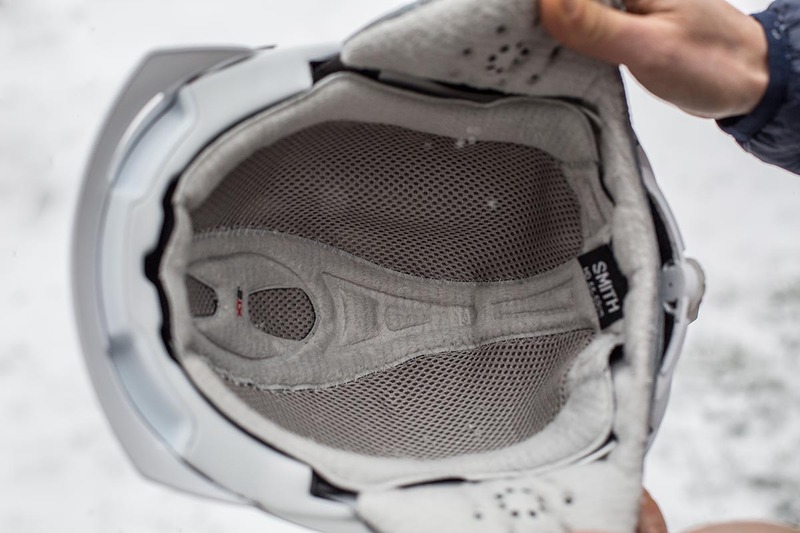 We’ve taken the time to remove our MIPS liners and it’s impressively simple: there’s one thin plastic layer that connects to the helmet with a few small tabs. Beyond the formidable research that has gone into MIPS and comparable technologies, the beauty of the designs are that they have essentially no impact on comfort or the profile of the helmet. As such, you see MIPS being adopted on anything from a premium $260 Smith Vantage all the way down to an $80 Giro Ledge. Some helmets we’ve tested do appear to fit slightly smaller as a result, but otherwise the impact is negligible. How often MIPS technology is a safety benefit is difficult to quantify and we haven’t found any solid evidence-based research, but all indications point to it being a nice extra safety measure to protect your head (how much that’s worth is up to you). For more information on MIPS, we’ve found the technology page of the MIPS website to be a helpful resource. Within their specific construction type—ABS, in-mold, or hybrid in-mold—most ski helmets weigh approximately the same. For our medium-sized helmets we tested, that’s 14 to 15 ounces for in-mold, 17 to 19 ounces for hybrid, and 20+ for ABS. 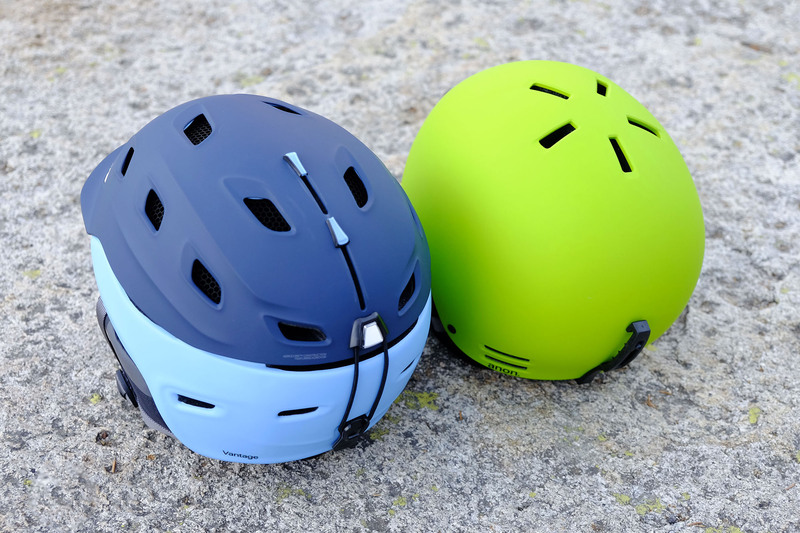 And between categories, there are noticeable differences in how they feel—in-mold and hybrid helmets are less prone to feeling heavy during a long day on the hill. However, simply putting a helmet on a scale won’t tell you the whole story of how it feels on your head. Good padding and a snug but comfortable fit can easily make up the difference of a couple ounces. It’s one of many reasons we love the Smith Vantage. It’s not the lightest, but you’ll quickly forget its there. The bulkiness of a helmet plays into this perception of weight. 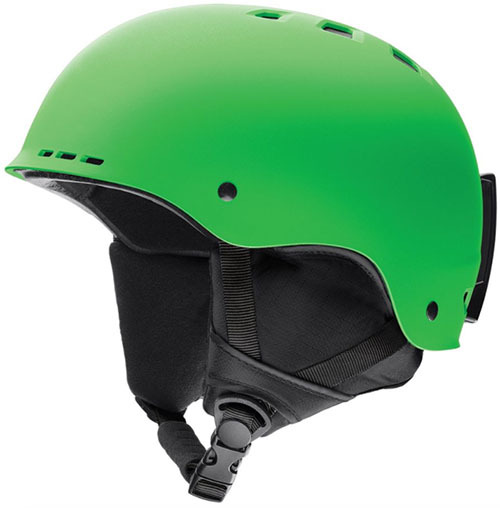 Cheap helmets made with a basic ABS construction are thick and feel cumbersome. The Anon Raider was the worst offender from our list, but it’s still much better than even cheaper helmet options (and it’s no coincidence that no helmets under $70 made the cut). In contrast, our top picks all have a low profile fit and don’t feel like you’re hauling around a heavy appendage. 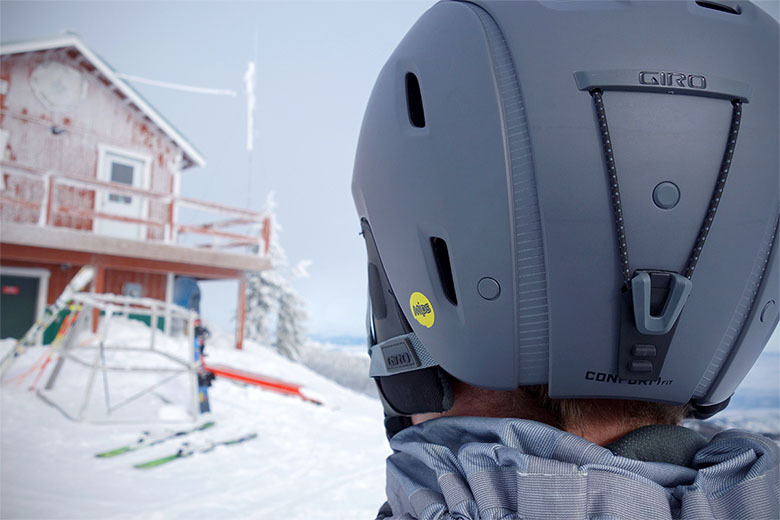 It’s a simple but appreciated feature: a clip at the back of most ski helmets to slide goggle straps through. This helps reduce the risk of losing your ski goggles in a crash or otherwise. Some models are also offering internal routing. There isn’t a huge performance upgrade in doing this, but some folks prefer the sleeker low-profile look where you can’t see the goggle strap—and perhaps it holds slightly better should you go full yard sale with your crash. Most helmets are compatible with some sort of audio system. For example: Smith and Giro work well with Outdoor Tech's Chip systems. In both cases, the ear cups have a built-in pocket that can accommodate speakers. “Audio” helmets like POC's Communication line will have integrated speakers and a cable to attach to a phone or music player. If you go this route, plan on spending a little extra to get quality speakers and reliable electronic hardware. Simply put, cheaper options don’t sound as good and are prone to failing. While skiing, it’s always a good idea to keep the volume down or have speakers that are non-noise cancelling for safety. While it may impact sound quality, the safety tradeoff of being able to hear other skiers or someone shouting at you is a net win. 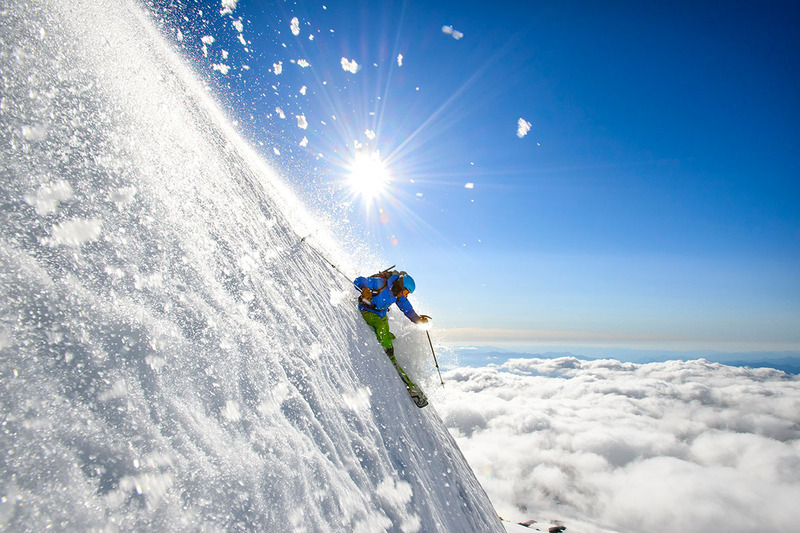 Skiing and snowboarding are two sports directly linked to the action camera’s growth in popularity. Skiers quickly jumped at the opportunity to record ski runs, tricks, and just general fun on the mountain. The nice thing is that most action cameras come with adhesive helmet mounts that can be directly attached to pretty much any helmet on the market. Some models, such as Giro's Range, Union, and Zone, go a step further and come with a GoPro compatible mount to make it easier to take the camera on and off. Getting sized for safety gear isn’t a good time for guessing, so if you don’t already know it, measure your head circumference prior to making an online purchase. All you’ll need is a soft-sided measuring tape or string: wrap it around your head about an inch above your ears and eyebrows to get your number (in centimeters). As long as the manufacturer is close in their listings—the only discrepancies we’ve seen recently are the smaller-fitting MIPS helmets referenced above—this should get you a decent fit. Being able to try on various helmets can take you from a decent to perfect fit, because, just like the heads we’re stuffing them into, helmets come in different shapes. For example, the Smith Vantage is pretty well known for fitting folks with a rounder head shape best (although it’s pretty close to universally compatible). On the other hand, the Giro Range is more accommodating to a narrower profile. Unfortunately, we haven’t found entire brands of helmets fit a certain way, so we can’t make too many generalizations, but we have called out any issues we’ve had with the fit in our picks above. It’s best to try on before you buy, but you can also make sure the online retailer accepts returns (all the ones we recommend do). One final note on fit: if you see a helmet with a single size that claims to be one-size-fits-most, we advise steering clear even if your head circumference falls within the listed parameters. Something that adjustable just won’t fit as well in the end. As with getting that perfect helmet fit, goggle compatibility is something that’s easiest if you can try them on. An ill-fitting helmet and goggle system can either be too tight, which pushes the helmet up and the goggles down your nose, or too open, leaving some of your forehead vulnerable to the cold air. The easiest way to guarantee a good fit is to stick within the same brand—Smith helmets work great with Smith goggles, and the same goes for Giro and POC—but we encourage you not to limit yourself if there’s a goggle or helmet that’s caught your eye. In testing, we’ve found some helmets are extremely accommodating of a variety of goggle types. Giro’s helmets not only work well with all Giro branded goggles, but we’ve also found a helmet like the Range MIPS to provide an excellent fit for anything from the large Anon M3 or Dragon X2 to the classic Smith I/O. On the flipside, Bern’s Watts EPS helmet is one of the more difficult to fit. Its large, angled visor worked well with only a medium-frame goggle or smaller, like the Smith I/O 7; most large Oakley goggles, and the Anon and Dragon listed above, did not work. Smith’s popular Vantage and Variance helmets are reasonably accommodating, fitting big-sellers like the Oakley Airbrake and Flight Deck, but we had issues with tall frames like the Dragon X2. 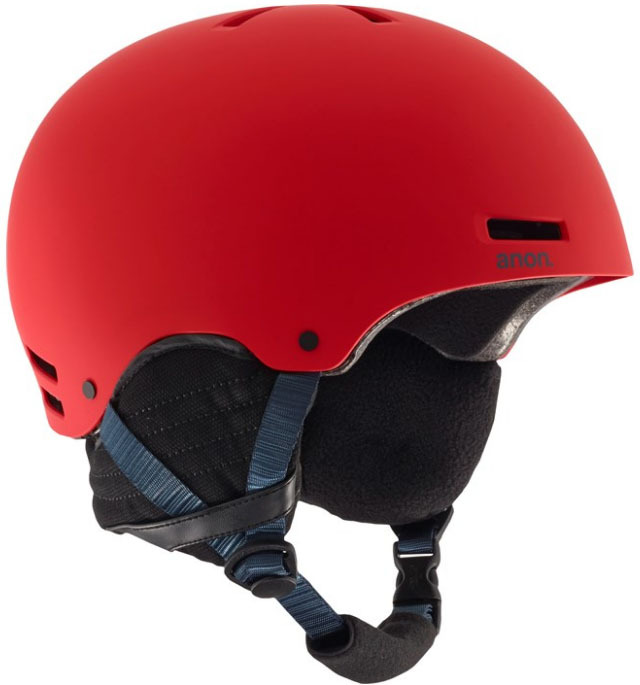 While a number of ski helmets are unisex and are perfectly fine for either men or women, there is a wide selection of women’s-specific ski helmets. These models are quite similar to men’s versions, but with different colorways for the shell and liner, as well as having a smaller fit. There will often be a name change, but the technology is all the same—and so is the pricing. When applicable, we've included the link to both the men's and women's versions of the helmet.